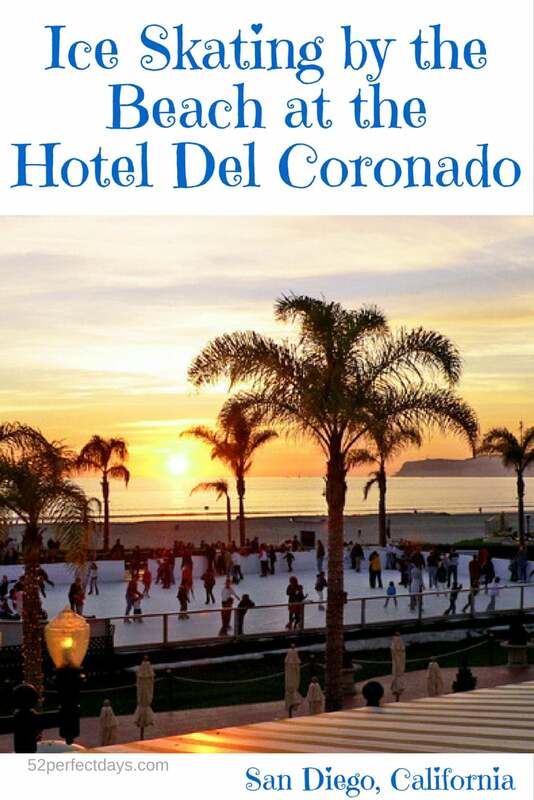 For the 12th year in a row, the Hotel Del Coronado is offering Skating by the Sea. The famous Coronado landmark will transform the 10,000-square-foot Windsor Lawn into an oceanfront ice rink, open for daily ice skating November 24 to January 2. Skating is $25 per person and ice skate rentals are free. The ice rink is located just steps from the sand on the beach side of the hotel and combined with their spectacular holiday lights and holiday music you’ll be in the holiday spirit in no time! For a one a kind experience, plan your skating trip to coincide with sunset. After you’ve whirled and twirled around the ice rink head a few steps to Sheerwater restaurant, where kids eat free by showing an ice skating wristband (one free child’s menu meal per paid adult meal). The menu includes adult favorites like Lobster Mac & Cheese with white cheddar cream and kid favorites like the Cheddar Bacon Burger and Fish & Chips. The menu offers a bit of everything and is a great choice for families. 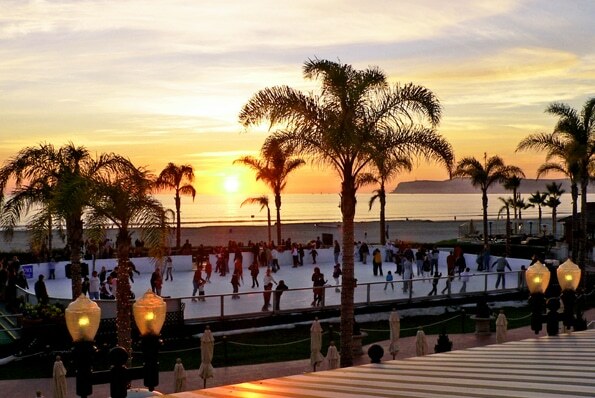 Where else can you enjoy outdoor ice-skating on a rink overlooking the Pacific Ocean? Plan your visit and enjoy a winter wonderland in Coronado. *Closed 6-8:30pm on December 6 for the Make-A-Wish family skate night. A portion of the 2016-2017 Skating by the Sea proceeds will benefit the Make-A-Wish Foundation® of San Diego. What a great article. Thank you for the suggestion. Who would have thought…ice skating at the beach and especially Coronado. This sounds really cool. Would definitely go if I wasn’t in Indiana.